Garlando's latest table combines the design of the best-selling G500 with striking colour options. Suitable for use in most indoor environments including games rooms, offices, schools & youth clubs. Also suitable for smaller children due to adjustable legs with 3 height settings. 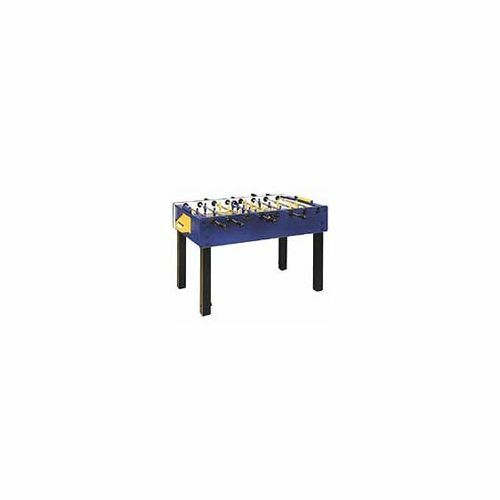 Playing field full competition size (120cmx70cm) in tough washable plastic laminate on heavy duty particle board base. Dimensions: 145 (L) x 74 (W) x 82-88 (H)cmWeight: 50kgNote: This product will be delivered by using a 2 man carrier service. The delivery specialist will contact you directly to arrange a day for delivery. When your goods are delivered it is important that you inspect them before signing for them. If, for any reason, you are unable to check them make sure you sign for them as ''uninspected''. 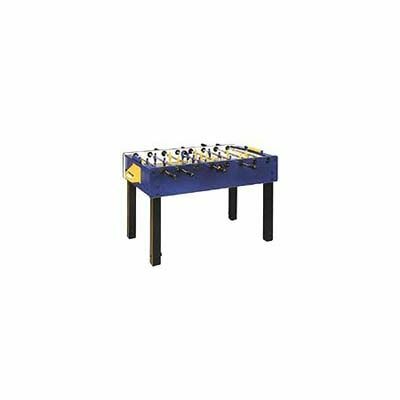 for submitting product review about Garlando g 100 Table Football Table.